Thursday’s ad is for Budweiser, from 1947. 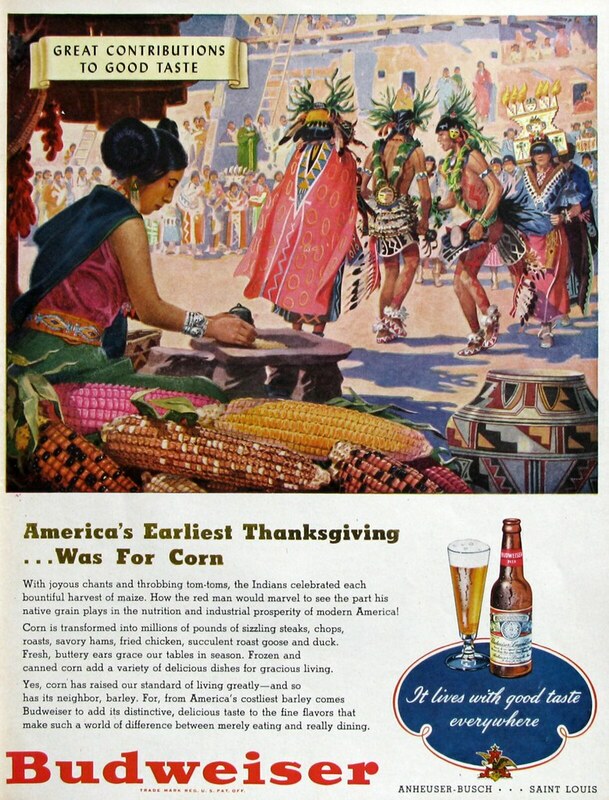 This ad features a Native American scene and the headline “America’s Earliest Thanksgiving … Was For Corn.” The text seems pretty racist, although it was 1947. But really, it’s all about the corn.